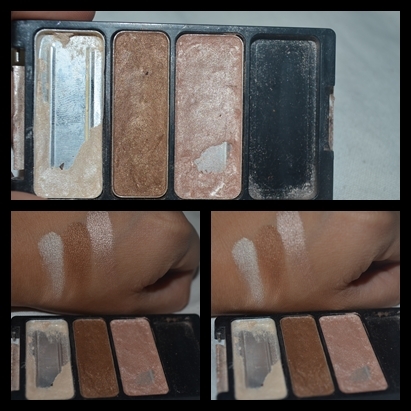 I recently found my long lost eye shadow called "Walking on Eggshells" by WetnWild!! I found it in one of my mom's bags and oohhh boy did that make me soo happy!! I remember getting it last year and had been using it everyday for work. However, I don't know what happened but I kind of forgot about it for awhile and now I'm so happy I found it again. The only downside is that it looks crap when I found it. *The colors are pigmented with a nice shimmer. *I got mine from the US but you can buy this from online shops and Watsons for P299 or less. In lieu of having found my long lost palette, I decided to film a makeup tutorial!! 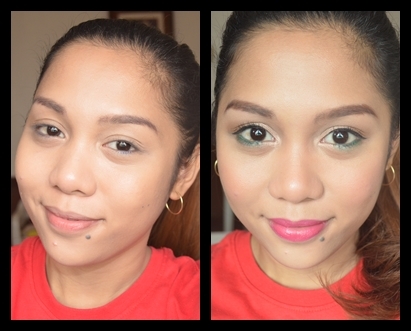 I used the three colors of the palette for my eyeshadows and added green on my lower lashline to make it less boring. WetnWild Color Icon Trio: "Walking on Eggshells"